Set in a prime location of Port Vila, Pacific Lagoon Apartments puts everything the city has to offer just outside your doorstep. The property features a wide range of facilities to make your stay a pleasant experience. All the necessary facilities, including free Wi-Fi in all rooms, 24-hour security, daily housekeeping, kitchen, express check-in/check-out, are at hand. Guestrooms are designed to provide an optimal level of comfort with welcoming decor and some offering convenient amenities like television LCD/plasma screen, children's high chair, clothes rack, complimentary instant coffee, complimentary tea. Take a break from a long day and make use of golf course (within 3 km), outdoor pool, garden, water sports (non-motorized). 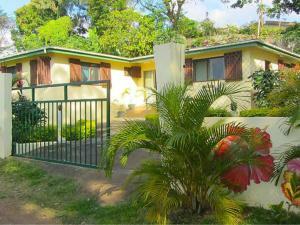 Discover all Port Vila has to offer by making Pacific Lagoon Apartments your base.